Sooner or later, every boat owner eventually becomes a boat vendor. 1. you go the traditional lazy route and list the boat with a boat broker, whereupon (for multiple reasons explained in the book) …you will be screwed! 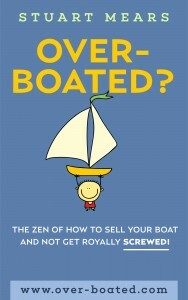 3. you buy the book “Over-boated? …wherein you will discover that the the Internet has revolutionized the outlook for the informed boat vendor. It provides a portal directly into the emotional heart-space of the boat buyer; the engine room where every buying decision is made. The ‘Over-boated’ program delivers a tremendous advantage over every other vendor and broker in the market place…by showing you in easy steps how to unlock the psychology of the buyer. This material isn’t arm-chair theory. The “Over-boated Formula” is the product of deep experience and even deeper thought and observation: what works and why. “Over-boated? is NOT a book of petty-flogging cant about saving brokerage commission. Obviously by side-stepping the rentier, middle-man boat broker you will save the commission that otherwise would go into the broker’s pocket, but the book is not about that. 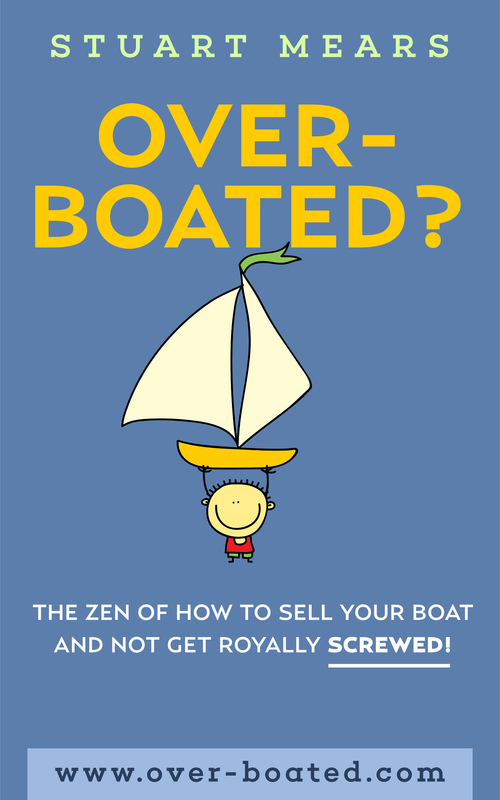 “Over-boated?…the Zen of how to sell your boat and not get screwed” delivers the sword in the stone secrets to selling any boat for more money, in any market. And these are nothing less than the secrets that powerfully engage boat buyer psychology, much of which is illogical, strange…and counter-intuitive. This is why so few vendors ‘get it’ and lose big. It’s time to even-up the playing field. Buyer psychology delivers the depth of buyer response. Buyer psychology delivers big bucks to your bank account and I guarantee…the impact is not small…it’s huge! Ready to preview the book? Click here. A portal into the emotional head-space of the boat buyer…a boat broker no-go zone!